Automated border control is here, thanks to Nippon Electric Company, Limited, of Japan. NEC's NeoFace biometric face recognition system can actually identify people inside vehicles as they drive through border check points. 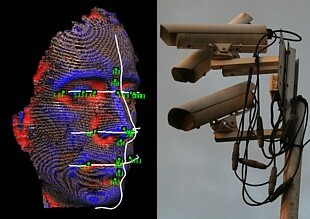 The overall border control system works by first reading the vehicle license plate; then, cameras scan the face of the driver. If there is a match in the database, the immigration process is completed. The system only works on the driver for now; up to eight passengers will be scanned in upcoming versions. The cameras have been installed at 8 of the 40 border gates on a new road connecting Hong Kong and Shenzhen, with all 40 gates expected to be upgraded by August. I think Jabba the Hutt had something like this. When visitors come to the forbidding gates in the middle of the desert waste, they are met at the door. 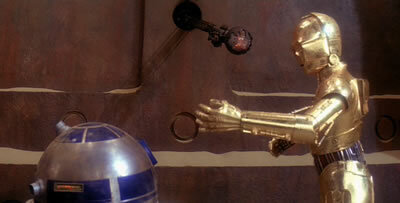 The device makes the scan; a robotic voice (in some sort of machine language) interrogates Threepio. Finally, they get in. Some border check!